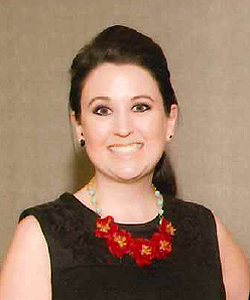 Mickey Leland College Preparatory Academy for Young Men teacher Rebecca Ryan is among 12 recipients from across the state to receive the 2015 Outstanding Teaching of the Humanities Award. The award is among several bestowed annually by Humanities Texas — a National Endowment for the Humanities affiliate — to encourage excellence in teaching and recognize Texas classroom teachers who have made exemplary contributions in teaching, curriculum development and extracurricular programming. More than 450 teachers across the state were nominated for the 2015 awards. Ryan, who teaches contemporary world cultures to sixth-graders, was presented with the honor on Tuesday, along with a $5,000 cash award and an additional $500 to be used by the school for instructional materials. Ryan utilizes project-based learning to encourage students to connect classroom knowledge to events in the real world. Ryan also sponsors the school’s World Food Club that provides students with opportunities to experience foreign cultures and cuisines. Additionally, she has led her students in various extracurricular activities, including the “Be an Upstander: Genocide Prevention Project,” the Holocaust Museum-Houston’s “Butterfly Project,” and a class community service trip to Costa Rica. This entry was posted in Achievement/Recognition, District II - Rhonda Skillern Jones, Magnet/School Choice, Middle Schools, Teachers and tagged Mickey Leland College Preparatory Academy for Young Men on February 2, 2016 by HISD Communications.